Most manufacturers update and improve their models are they progress through their production cycle. BMW is no exception. The German luxury brand is bringing an added level of engine options, technological features and even a unique edition to their two SUV’s, the X3 and X5. The X5’s little brother, the X3, will enter the 2012 model year with all engines utilizing BMW TwinPower technology. Along with forced injection the X3 receives a new engine option. 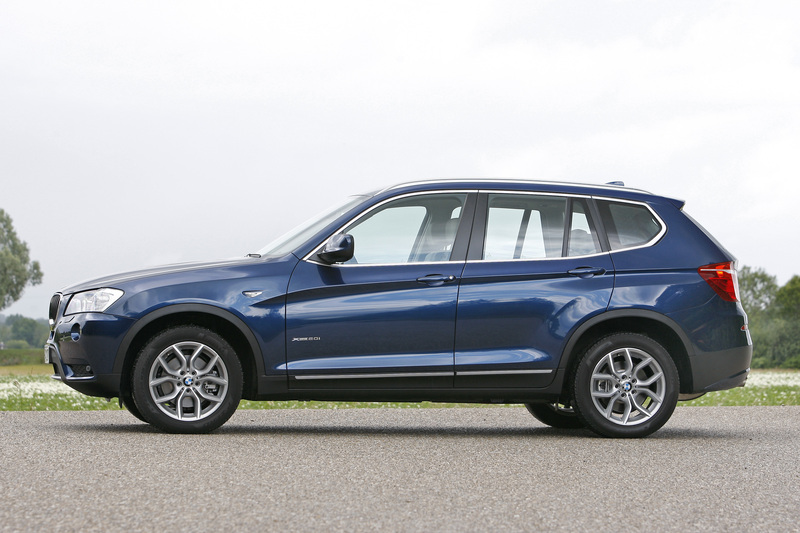 A 2.0-liter gasoline engine will be offered on the X3 xDrive 28i. The four-cylinder powerplant pushes out 245 horsepower and 258 lb-ft between 1,250 and 4,800 rpm, courtesy of a system based off the TwinPower twin scroll concept. Along with being more powerful the new engine has increased fuel economy. According to BMW this is up to 17 percent greater than the predecessor. Also assisting in the efficiency department is an eight-speed automatic transmission that is linked with BMW’s xDrive four-wheel drive system. On the interior, all 2012 X3’s will come standard with a Driving Experience Control feature. This enables the driver to choose between four driving modes including: “Comfort”, “Sport” “Sport +” and an “Eco Pro” mode. The system also controls the function of the Dynamic Stability Control (DSC), accelerator, power steering, gearshift patterns and electronic dampers. Rounding out the technological updates in the passenger cabin are optional BMW ConnectedDrive systems that operate lane departure warnings, speed limit information and collision warnings. Big brother X5 might have fewer changes than its smaller sibling, but its single addition is a large one. In conjunction with the release of BMW M Performance models, the X5 will now be offered with a M Sport Package. No, this is not the recently revealed X5 M50d, but a regular X5 with a traditional M Sport package. The package includes such goodies as 20-inch M light alloys wheels, high gloss shadow line exterior trim, xenon lights that go along with adaptive cornering headlights. The suspension is modified with the M Sport package. 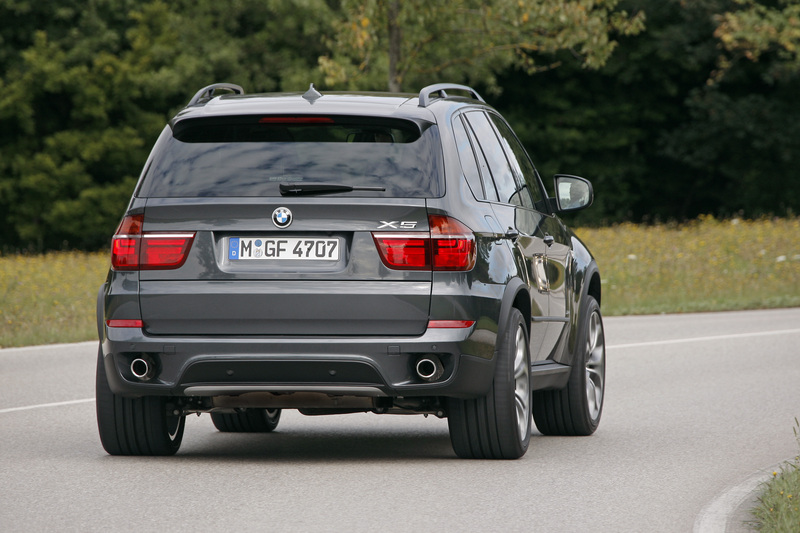 All variants of the X5 receive a sport-tuned setup, while the X5 xDrive50i is equipped with a pneumatic rear-wheel suspension and automatic levelling. On the inside the M Sport X5 includes a host of M labeled items such as the steering wheel, foot rest and even new M Alcantara/black Nappa leather upholstery.